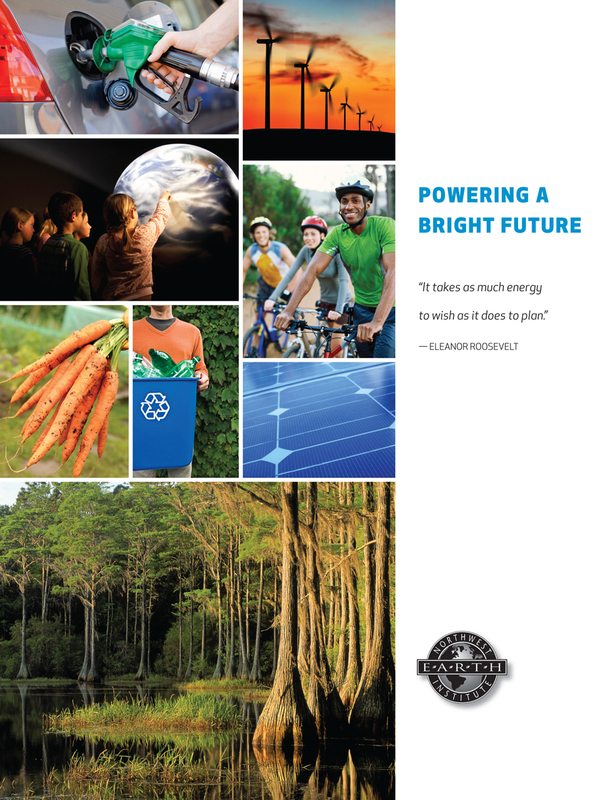 You are currently browsing the category archive for the ‘Powering a Bright Future’ category. NWEI partner Simplicity Matters Earth Institute in Maryland continues to foster momentum and discussion around climate change while promoting NWEI courses. 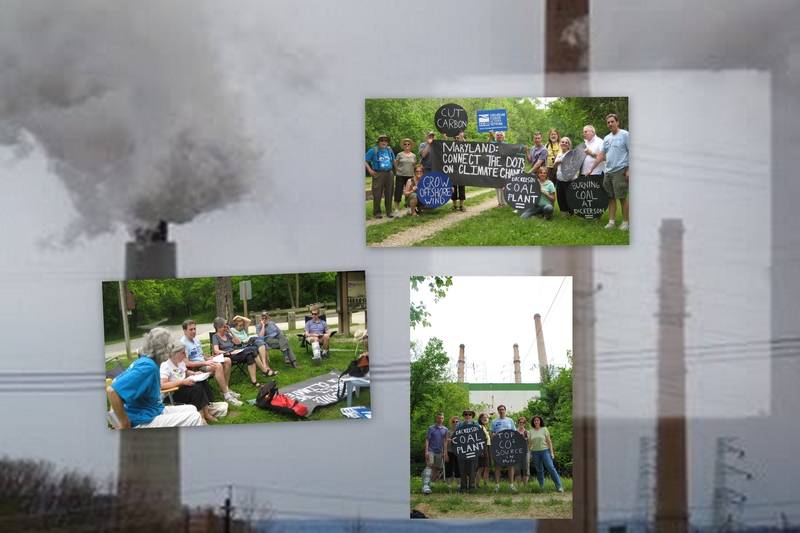 During the recent 350.org-promoted event “Connect the Dots,” Lore Rosenthal and her colleagues at Simplicity Matters Earth Institute (SMEI) helped folks connect the dots among climate change, extreme weather and energy production by holding a discussion and demonstration at a local coal-fired power plant. SMEI used the momentum from this 350.org event to encourage folks to participate in NWEI’s Powering a Bright Future discussion course. In what creative ways are you introducing sustainability issues or engaging folks in NWEI discussion courses? We’d like to know! Last month, the NWEI staff organized our own discussion group on our newest discussion course, Powering a Bright Future. We always look forward to doing new courses as a staff – even those of us who worked on developing the curriculum are surprised at what they learn, we always find a behavior to change or something we can commit to doing better, and we learn a little more about each other in the process. I am in this space every day and Powering a Bright Future still had a significant impact on me. The content and shared discovery were informative, daunting and inspiring. The consumption of energy is so ubiquitous in our lives and PBF gave me the motivation to dig a little deeper; beyond the actions I am already taking on the personal and advocacy levels. I’ve committed to getting a used bike trailer so Laura and I can do our food shopping by bike. I am taking more time to communicate with my elected officials and, believe it or not, I still had that pesky final incandescent bulb that is now replaced with a CFL. While taking this course, I found I started looking at everything differently, wondering how we were powering our earth. I was more aware of the lights I used — making sure it was out of necessity, not habit or ease. I intentionally planned my driving to make sure I did not need to add trips in the car, but rather eliminated the car all together on errands that could be done by foot or bike. I found all of this to be rewarding, as it made me more present to living and grateful for all that we have. The great thing is I have stayed with these changes after the course and will continue to make positive changes in the future. After completing Powering a Bright Future I realized that there are still many easy (and obvious) ways that I can reduce my energy consumption. From double checking my light bulbs to getting back on my bike, I realized that regular reassessment of habits will help keep me in line with the sustainable lifestyle that I value. Energy is embodied within every aspect of our lives. It’s used to make the clothes I wear, the food I eat, and power the devices I use on a daily basis. Promoting energy sustainability means that as an individual I need to think beyond the light bulb, and not only promote renewable energy initiatives in my community, but also reduce my consumptive patterns, reuse as much material as possible, consider the embodied energy used to produce my food, and continue minimizing my use of fossil fuels. My biggest ‘take-home’ from our discussion course is the dilemma that bottled water brings to the discussion. Lester Brown points out that bottling 28 billion plastic bottles each year in the United States requires the equivalent of 17 million barrels of oil. I had given up bottled water years ago, as I had already recognized it as a marketing ploy. But what about all the other ‘to-go’ beverages I was purchasing, like my vitamin waters, and coconut waters, and kombuchas? Those are just as abundant in the stores and must require the same amount of energy consumption to produce. I am now making a commitment to eliminate ‘to-go’ beverages from my life. It will allow me to voluntarily simplify my consumptive patterns, reduce my contribution to energy consumption, and bring down my sugar intake. It is a win-win all around. Through Powering a Bright Future, I learned about how much is already possible. It was wonderful to read about the tools we already have to greatly increase our energy efficiency, reduce our dependence on fossil fuel, reduce pollution and greenhouse gases, create jobs, and invest in local communities. Because of the course, I have committed to choosing the wind energy option from our electric company, finding out more about Portland’s Climate Plan, and reducing/eliminating packaging from our grocery purchases. And I’m very, very excited about these changes! If you’ve taken the course, what have you learned or changed because of participating in Powering a Bright Future? If you haven’t yet, please consider organizing a Powering a Bright Future course with your friends and family, co-workers, students, or classmates. You can find out more information here.